To mark the release of Come and Find Me on 21st August, we’ve been given 3 copies to give away on DVD. 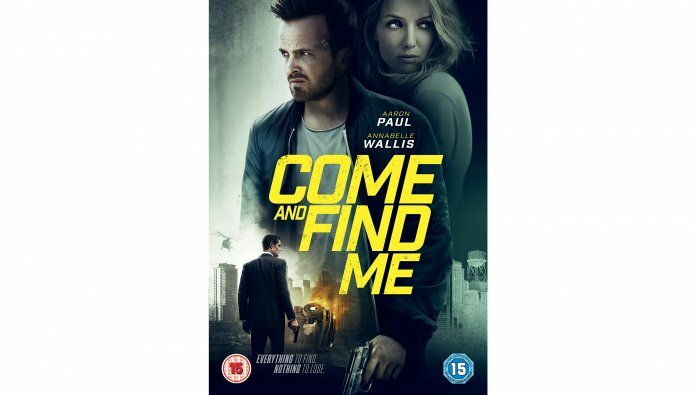 COME AND FIND ME follows the twisting lives of David (Aaron Paul) and Claire (Annabel Wallis) whose idyllic relationship comes to an abrupt and mysterious end after Claire disappears without a trace. Devastated but incapable of letting go, David follows her down a frantic and increasingly dangerous path. Shocked at discovering Claire is living a double life and wasn’t who she said she was, he’s forced to risk everything if he ever wants to see her again.